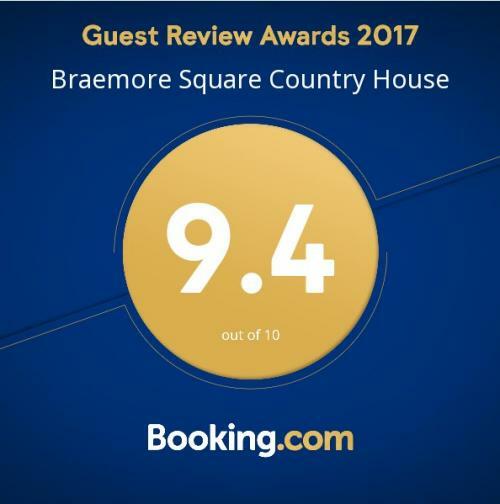 Welcome to Braemore Square Country House, a high quality Accommodation offering a choice of 4 beautiful Self-Catering Apartments. A beautiful former stage post, built in 1840 to tend to the horses facing the arduous climb up and down the rise to Braemore, we have a history of caring for travellers, en-route to Ullapool, Inverness, Gairloch and the West Coast of the Highlands. 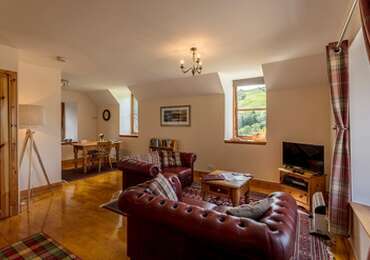 Whether you are looking for bed and breakfast in the house itself, or wish to stay in the self-catering apartments, we can offer a warm, comfortable, well appointed, tastefully decorated and furnished premises. 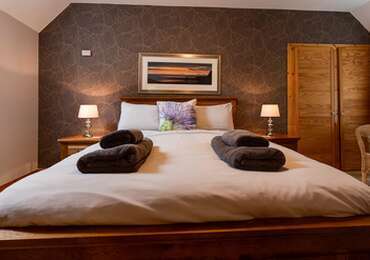 One mile north of the stunning and historic Corrieshalloch Gorge, and eleven miles south of the fishing village of Ullapool, we offer an ideal location for anyone seeking a base to appreciate the Highlands of Scotland, be it for a romantic retreat, to celebrate a special occasion, or to explore the local environment and Munro's nearby. Our property also includes salmon and trout fishing rights that we offer to our residents. 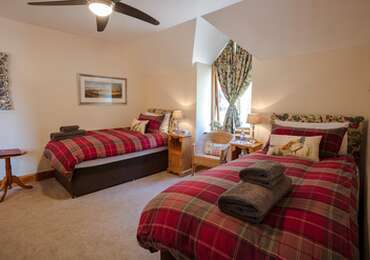 Please take a look around our site and see what we can offer to make your stay with us a pleasant and memorable visit which you will want to return to again and again. Due to our beautiful surroundings our 'Wi-Fi' is limited, we ask you to detatch from your digital world and embrace nature around us. As we have a young family we do not serve evening meals at our property, your neareast restauraunt can be found in Ullapool - 11.5 miles from us, approxiamitely 15minutes in the car. Coach House Apartment with king size bed, mosaic bathroom with bath/shower. Granite kitchen with all new appliances. Self Catering Apartment - 50.5ft²,King size bed with down duvets and pillows, fully fitted kitchen with all mod cons including dishwasher and washing machine. Lounge with fireplace, new mosaic bathroom with bath/shower. This apartment is able to have an additional single bed with the King size bed for an additional cost.